Does your Scrum Master Inspect and Adapt? The empirical approach to product development doesn't have to be limited to the fine tuning the product direction, it's equally powerful when applied to the process of developing the product. Sprint Retrospective meeting provides an in-built approach for the Scrum Teams to inspect and adapt. I observe in most organizations (almost 9 out of 10 times), everyone in organization is looking up to the development team to retrospect and improve their process. Most of the time the implicit desire is for the development team to deliver more features in less time. What is almost always overlooked is if the Scrum Master is performing her job effectively in helping the Scrum Team become effective, creative and flexible - what the Scrum Team is designed to be. Usually because the Scrum Master is the only most-Scrum-educated person available. No one (dares/) holds her responsible for improving at her own job, at what is she supposed to do. Why most of the Scrum retrospective meetings neglect to inspect how the Scrum Master performed during the Sprint? One common oversight is that Scrum Master by default sends the meeting invites and takes up the role of the facilitator during the Sprint Retrospective meeting. The facilitator by definition doesn't participate / contribute to the conversations as her focus is to hold the space and create structure for the participants to contribute effectively, resulting in the Scrum Master to usually escape the periphery of the retrospection. One good approach to worth giving a try is, to rotate the facilitator and allow the Scrum Master to participate in the Sprint Retrospective meeting with the Scrum Team. 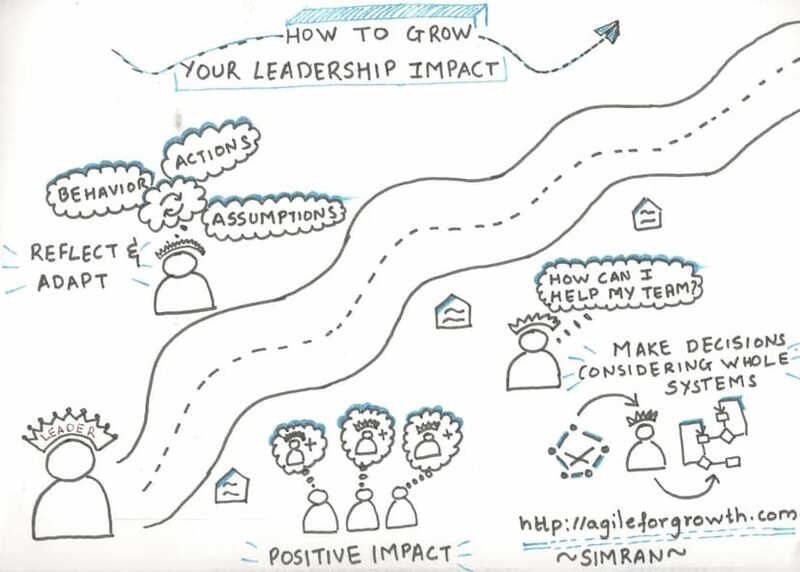 By rotating the facilitator, the Scrum Master also gets the chance to participate in the retrospective, reflect and share her own perspective and analysis of her performance. If she shielded the team well, if she was effective in helping the team to remove the impediments, if she did good in coaching the dev team, the product owner, as well as the organization, etc.. Does your team care and discuss if the Scrum Master performed her duties well during the sprint? Becoming a real effective Scrum Master is tough journey. Those who are open to seek feedback and look for opportunities to continuously improve their own game, also stand chance to inspire their teams and leaders to improve. If you are Scrum Master, how do you ensure to inspect and adapt your own performance? In September 2016 Indian special forces carried out surgical strikes at 7 terrorist launch pads across the line of control (LOC) in POK. Read more…. Surgical strikes require detailed and exhaustive planning. It needs to be carried out with absolute precision to achieve the objective of taking down targets with either no or minimal collateral damage. In an ideal world, there shouldn’t be a need for such operations as everyone should aim to live peacefully and let others live peacefully. No terrorism, no surgical strikes. However the reality today is far from ideal. The customer and market factors beyond your organization’s control may present opportunities outside of your regular operations/product features. Organizations that can quickly sense these opportunities and respond swiftly may find themselves gaining market and continued loyalty from customers. That’s agility. Organizations that are not capable of sensing such opportunities or acting upon these quickly may see themselves becoming irrelevant in the new market. Remember Kodak and Blackberry? Fact: Of all the Fortune 1000 companies as of 2003, 70% disappeared from the Fortune 1000 list by 2013. The rate of change in 2017 has only increased. Tip from the real world: One serious flaw we observe with bureaucratic and large organizations is that smart people working in these organizations may already have observed new opportunities/needs, however, may feel unsafe to try out new ideas due to fear of failure and the consequences of failure on their job. Encouraging every employee to experiment and innovate may not work on its own, leaders must act in line with what they preach and also allow freedom for the employees to make choices safely. It’s not luck or coincidence. Achieving excellence in Product development and product launch takes years of effort to build this capability. Being excellent at connecting with customers, understanding customer challenges, translating the vision into solutions, developing quality products rapidly, launching solutions to market early, promoting and selling the products through multiple channels and partners etc., all at the same time, can’t be a sheer coincidence every time. The more you sweat in training, the less you bleed in combat. Richard Marcinko. To become agile, organizations should identify process and practices to continuously improve, enhance the products, optimize the organizational system, avoid short cuts, avoid local optimizing and strive for breakthrough innovations in products as well as processes. Executing flawlessly is also a result of choosing your battles. If people in your organization are always busy, always fire-fighting, they have no time and motivation to experiment, strive for quality and focus on excellence. If your company offers 30 varieties of fruit jam, most likely your company does not have a single world-class variety of jam. Tip from the real world: Check this: Tesla only sells 2 models of cars (3rd is in making) v/s GM who has 24+ models. Apple offers 3 models of laptops v/s HP which sells 24+ models. Google constantly identifies products that do not meet it’s benchmark performance and retires these products. Facebook keeps disrupting itself regularly to get better. Hope you get the point. To be able to execute flawlessly, your organization must focus on few key offerings, and constantly up the game. 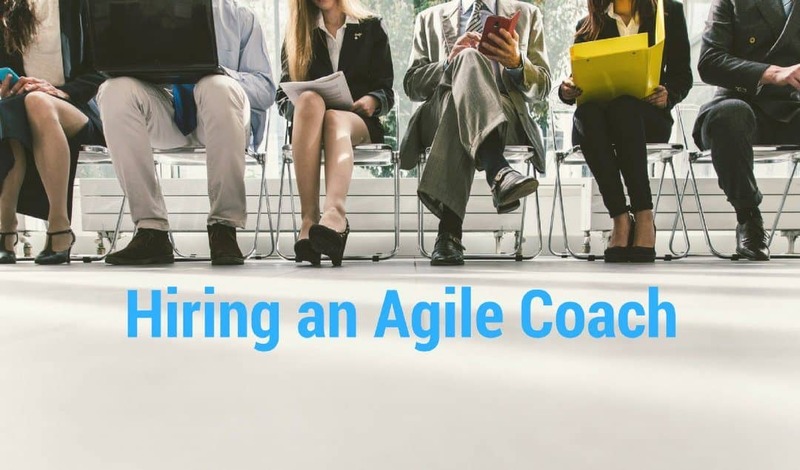 At Agile For Growth, we are focused on offering Scrum Training and politely deny serving clients with other training requests. It allows us to focus on what we do well. A visionary leader finds a common purpose and crafts an inclusive mission to bring all stakeholders together. Involving all stakeholders early avoids the chances of missing out on key participation and support from the stakeholders as well as helps avoid consequential resistance later. It’s difficult to find harmony when trying to align multiple stakeholders particularly in large enterprises. However, that shouldn’t be an excuse from involving stakeholders early. In today’s market, stakeholders are all those involved in the success of your product that includes employees, vendors, partners, and customers. Have a strategy in place to engage all stakeholders contextually and at an appropriate time. Sooner the better, in most cases. Immediately after the surgical strike, the Indian government briefed the key leaders of the opposition, called for an all-party meeting, informed the UN and other key countries. The India head of military also called up his counterpart in Pakistan and briefed him about the operation. A Press conference was planned and called for immediately. A plan was already in place to handle any retaliation. Tip from the real world: Involving stakeholders early allows you to identify and address any resistance early. Having satisfied stakeholders offer you additional support in terms of introductions, referrals, testimonials, and free word of mouth publicity. Many new and breakthrough products today are co-created with customers involved right from the inception of the product. It’s not uncommon for startup’s to open up their Product Roadmap and allow their customers to vote on the upcoming features. Tools: Trello and Roadmap.space are good free tools to get started. The product gains tremendous value when there is an eco-system around it which enhances its usage and benefits. Apple’s App store is one of the key examples that helped expensive iPhone take off against the established and low priced Nokia and Blackberry. Most product companies today offer APIs that allow developers to build third party applications and to enhance the value of their product. Tip from Real World: At Agile For Growth, we offer Scrum training and Enterprise Agile Coaching. 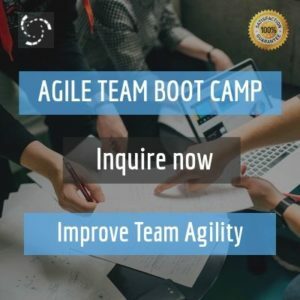 All clients engaging us for Scrum training workshop, get 10 additional value-adds and bonuses that allow the training participants to continue getting value even after the workshop. That gets them real world benefits from implementing Scrum concepts, techniques and tips. Beyond the 2-day workshop, we’ve designed a broader engagement and experience for our workshop participants. These bonuses significantly enhance the value our customers get from engaging us. These value-adds, almost payback for the training investment. India through it’s sensible and responsible behavior over the years built trust with allies and parties, which helped it gain support from many countries when deciding to carry out surgical strikes across the LOC. Don’t forget that you DO NEED strong support of stakeholders, partners, customers, and employees when taking big and risky bets. If your organization has worked for it and earned trust, getting this support becomes a relatively easier task. Being adaptive, responsive, nimble – Agile, at the organization level is a choice that everyone in the organization needs to make and commit to. It’s a tedious journey that requires a fair share of taking tough decisions, disrupting the status-quo, being ready to fail, traveling uncharted territory and tapping into the collective intelligence of everyone involved. What is your key takeaway from these strategies? I’m interested in learning it!